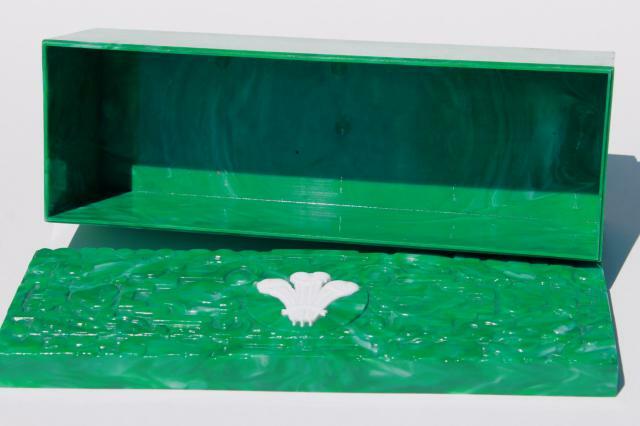 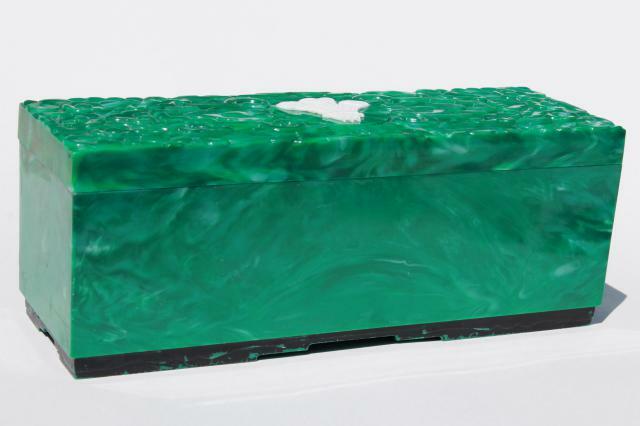 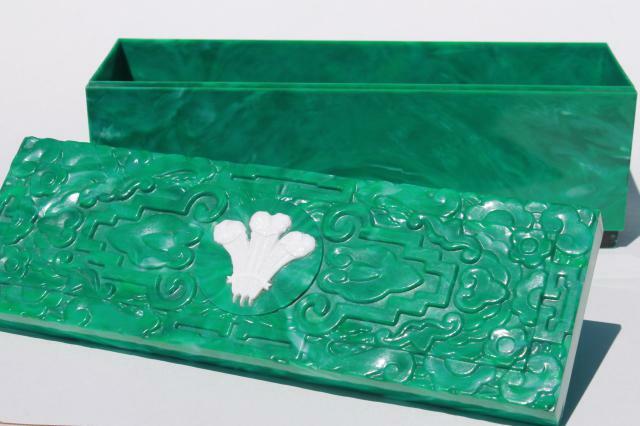 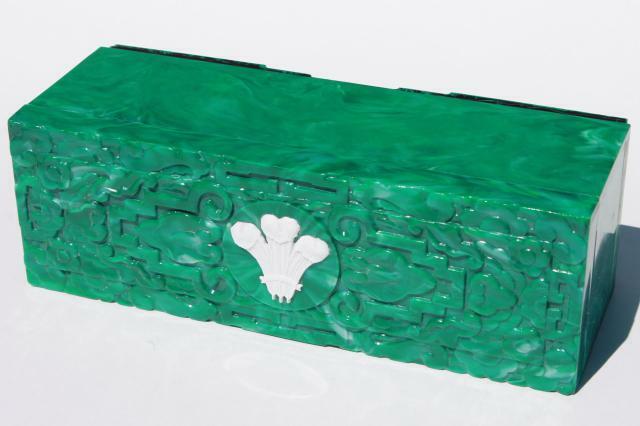 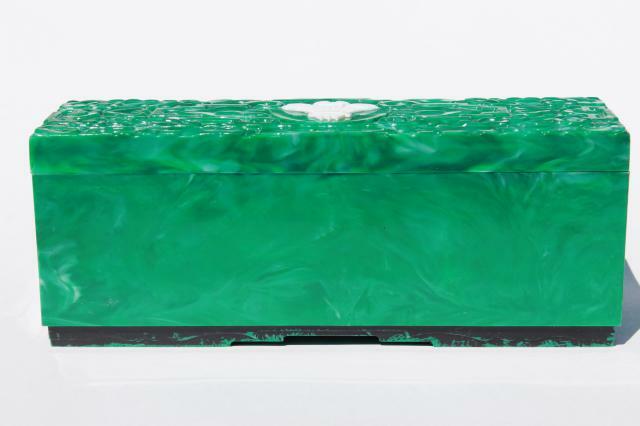 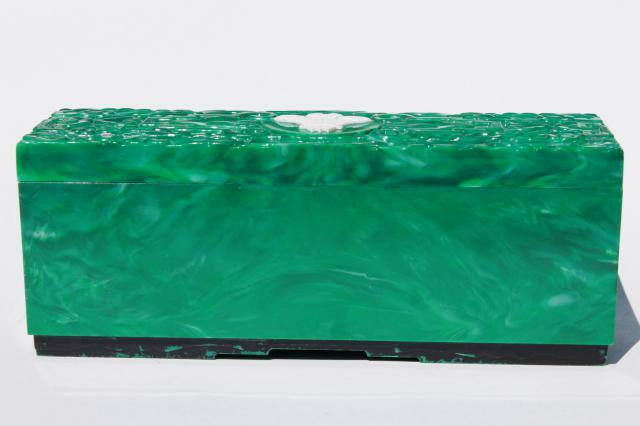 We love this beautiful green plastic presentation box to hold jewelry or gloves and hankies on your dresser. 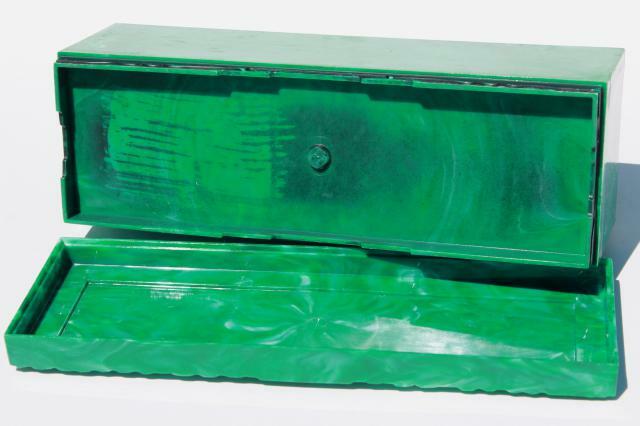 It's not marked at all that we could see, possibly 60s vintage? 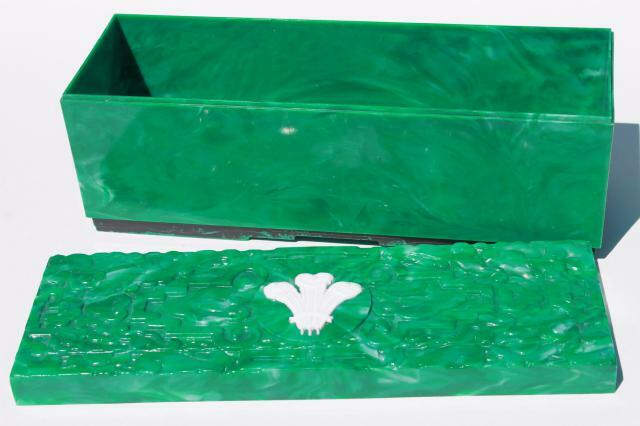 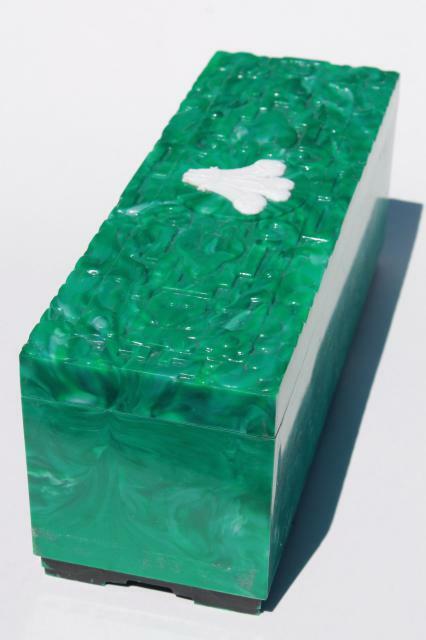 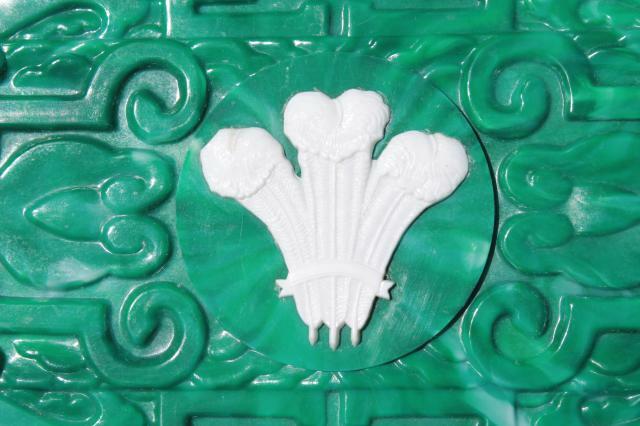 It's hard plastic in an Emeraude green color, measures 12" x 4" x 4 3/4" tall.